The HL4106 data logger has two sensors as standard: a precision temperature probe and a high quality humidity probe. These sensors can be calibrated by the users or at our calibration laboratory. Each unit has an LCD screen simultaneously displaying the most recent readings taken and the predicted battery life. Collected data is downloaded via USB to a computer using Windows software (sold separately) and can be easily analysed in graphical or tabular form. 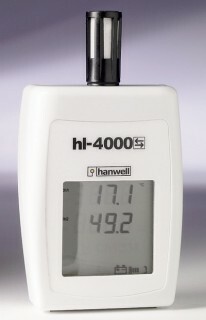 We can supply these data loggers UKAS calibrated, please contact us with your requirements for a quote.